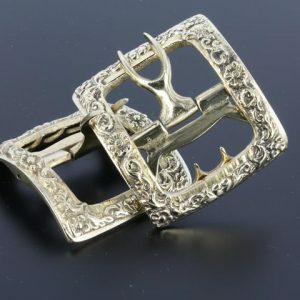 View cart “Knee Buckles, Brass, FANCY” has been added to your cart. 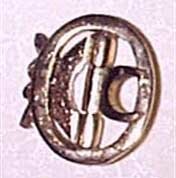 The Oval Knee Buckle, brass, has a plain face. It will fit the townsmen or any Gentlemen impression. size is 1-3/8″x 1″ that will fit a 1″strap. Price per pair $17.00. 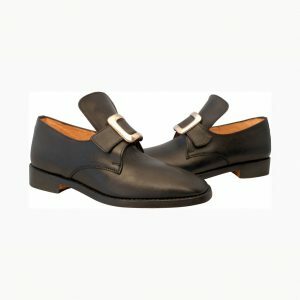 The Oval Knee Buckle, white bronze, has a plain face. It will fit the townsmen or any Gentlemen impression. size is 1-3/8″x 1″ that will fit a 1″strap. Price per pair $17.00. 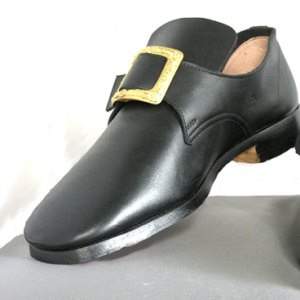 The SQUARE Knee Buckle, brass, has a plain face. 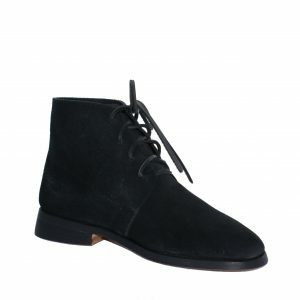 It will fit the townsmen or any Gentlemen impression. size is 13/8″x 1″ that will fit a 1″strap. Price per pair $17.00. 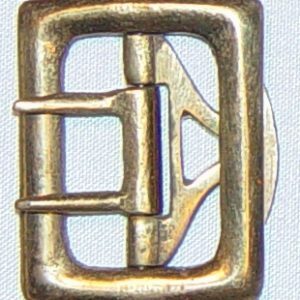 The SQUARE Knee Buckle, white bronze, has a plain face. 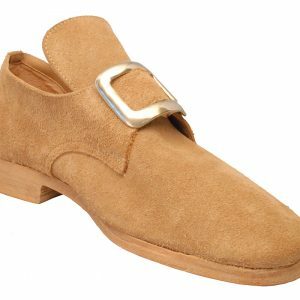 It will fit the townsmen or any Gentlemen impression. size is 13/8″x 1″ that will fit a 1″strap. Price per pair $17.00. A replica of colonial knee buckles that were used just below the knee on a man’s paints to keep the leg closed.